Your first time in Nai Harn Beach is sure to be a memorable one, if you use this quick and easy survival guide. The area is home to three of Phuket's most beautiful beaches and is a firm favourite of many regular visitors. The area around the beaches is quite peaceful and quiet. This makes it both very family-friendly, but can also make it a challenge to find the best places to go. This Nai Harn Beach survival guide is intended to give you a brief overview of what is available in this picturesque part of Phuket. It also highlights our own personal favourite spots, including the outstanding restaurants and comfortable hotels. Be sure to check out the great views available from the hills and capes in the area, as well as the outstanding snorkelling around the smaller, quieter beaches. The Nai Harn area is home to three fantastic beaches. Nai Harn Beach itself has become one of Phuket's most popular and has a small selection of shops and restaurants just behind the sand. Ao Sane Beach, to the west, is relatively unknown and is a kind of hidden gem. To the east, Ya Nui Beach is one of the island's smallest beaches, but also one of its busiest. With a great view and beautiful sand, it's not hard to see why. The area is also home to two fantastic viewpoints, including Promthep Cape – the southernmost part of Phuket. The Nai Harn area is best known for its beaches and viewpoints and especially for the striking Promthep Cape. This is one of the most picturesque bits of Phuket and those who enjoy landscape photography will like the area very much. The three beaches which line the cove are each great places to go snorkelling during the high season, when the seas are calm. These beaches, which have some of the softest sand of any in Phuket, are each pretty popular. Make sure you check out the must-see things to do during your first time in Nai Harn. The restaurant scene in Nai Harn is limited, but it has some notable stars. Among the various unremarkable eateries are some fantastic local places and a couple of fine-dining establishments. The budget diner is certainly well catered for as most of the menus in the area offer good value for very little money. It is worth mentioning that most of the restaurants are well back from the beaches, so don't leave it too late to head for a bite to eat during your day of sunbathing! Be sure to check out these three of our favourite restaurants in Nai Harn, including one with a stunning view, one serving exceptional food and one specialising in great local flavours. 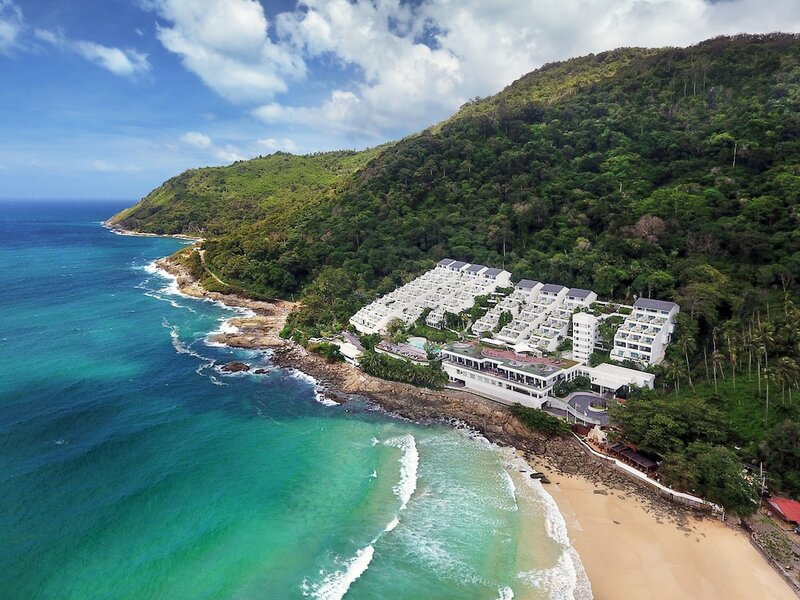 If you're preparing for your first time in Nai Harn, we would recommend checking out these three hotels. They are our favourites from the comparatively limited selection in the area. Despite the small choice, Nai Harn has something for most budgets. Whether you're looking for something that's cheap and cheerful or a stunning five-star experience, there's at least one place in Nai Harn which will suit you. Below, we've picked out the best high-end, mid-range and low-cost options available. We’re confident that a stay in any of them will be time well spent.